Justin Pelly, 19, was killed when his vehicle crashed into a stone wall off Regina's Diefenbaker Drive. A fundraising campaign is underway to help cover funeral costs. A fundraising campaign is underway for the family of a 19-year-old killed in a crash on Saturday morning in Regina. 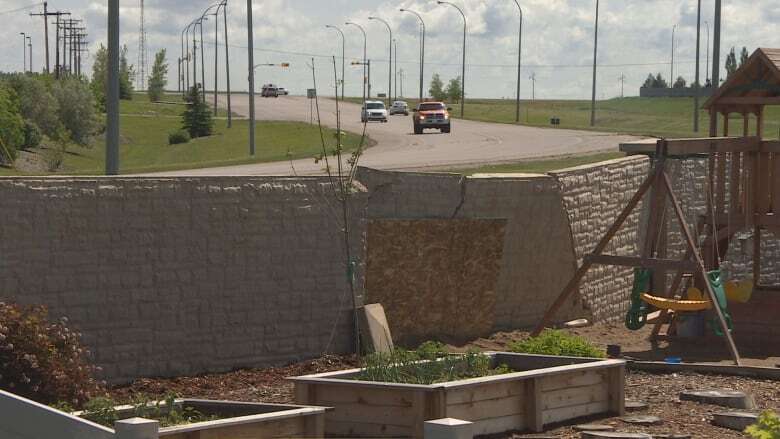 Justin Pelly died after his vehicle hit a stone, sound barrier wall beside Diefenbaker Drive in the city's northwest. On Sunday, a GoFundMe campaign was started to help cover funeral costs and other related expenses, according to the fundraiser's creator. "Justin was so full of life, laughter, jokes and meant something dear to many of us," wrote Jade Baer-Marshall, who started the GoFundMe page. According to Regina police, Pelly failed to make a curve, left the road and hit the wall around 1 a.m. CST. The cause of the crash is still under investigation. People have spray-painted the wall with messages and left flowers at the crash site. "Forever in our hearts," reads one message, "never forgotten," reads another. Pelly's funeral service is on Saturday.